The Maz Shack (#2): What would you do for your kids? I love my kids wholeheartedly and I can't imagine anything I wouldn't do to ensure a happy life for them. But I also love cream teas, fish and chips, lattes, buttery toast and a heap of other naughty treats that means there is a whole lot too much of me. 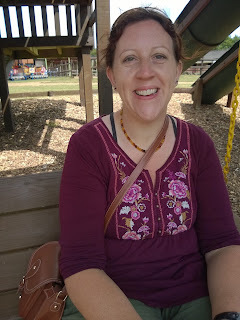 At 15 I weighed 15 stones and I starved and exercised myself down to just over 12 and a half stones (according to BMI this is the point at which healthy weight for my height tips into overweight) but I still was never slim like the girls around me who ate far more and exercised far less. In my 20s I started eating 'normally' again and the weight crept up, despite the miles I walked as an outdoor education instructor. At 25 I was working in a more sedentary role as a classroom teacher and my weight rocketed to almost 19 stone. I fought hard to get it down to 15 and a half by the time I got married in 2009, and after my pregnancies got it back down there again. In the last year though it has been creeping up again so that I was really cross with myself when I stood on the scales two weeks ago and saw 16 stone 8lbs on the screen. I had also been having a lot of tummy trouble as I'm gluten intolerant but being naughty and eating normal wheaty food as it's just so much cheaper, easier and tastier (granary bread toast is my Achilles heel). Eating wheat in turn seems to affect my other allergies and I was back on antihistamine tablets as well as my nasal steroids. Everything ached all the time and I'd had several weeks of ME/CFS flare up where I just felt ill and exhausted. At this weight my immune system is suppressed, my joints under undue pressure, my risk of developing diabetes is increased, along with certain cancers and heart disease. I had to make a decision. What is more important to me - eating nice things and trying to fit in when I visit friends and family (it's awkward enough being a vegetarian, I try to avoid mention of my other allergies and intolerances), or accepting that if I want a healthy middle and old age where I'm around to help and support my kids I have to make a radical change to my diet. So I've said goodbye to many of the things I loved, because I love my boys more. So there's no more tea and toast or porridge first thing in the morning, no more mid morning coffee, no more sandwiches at lunchtime, veggie burgers with mashed potatoes and gravy for dinner followed by a nice dollop of yoghurt, and definitely no more cream teas when we're out and about. In eight days I've lost 10lbs, most of that in the first couple of days as my increased water consumption caused my body to release over-retained water - a big factor implicated in weight gain is simply being dehydrated, so even if I had done nothing other than increase the volume of water I was drinking I would have expected to see some weight loss initially. My tummy troubles have disappeared now I'm not eating the wheat and gluten which I know I can't tolerate (as a hospital test told me - I haven't just read an article and decided my symptoms fit). I've gone down a notch on my belt as my bloated tummy has calmed down. Cutting out sugar has also had the effect that I'm not experiencing anger when I'm hungry - the word 'hangry' was perfect to describe this. I was very tired for the first few days but at least I didn't experience the flu-like effect of going cold turkey on caffeine and sugar that I had a couple of years ago when I cut them out for two weeks for a diet. I'm not going to write what I am eating though because I don't think it would be responsible for me to promote the way I'm eating to anyone reading this who doesn't have specific intolerances and problems with food. This is also going to have to be a lifelong eating habit for me - if I go back to 'normal' eating then the pounds will pile on in double quick time as my body goes 'hey, better store up these calories in case there's another shortage'. It's taking every ounce of willpower, especially as I'm determined to keep cooking normal for the kids and Matt. Yesterday we made a mint and dark chocolate home made ice cream terrine and it took everything I had not to eat any of the ingredients. I was formally a lid licker, dreg drinker, crust eater and general human dustbin. I'm cautious not to negatively impact my health while trying to do a good thing, so I'm maintaining my usual exercise levels to try to avoid my body eating my muscle instead of my fat. I'm also keeping an eye on things like my blood pressure and heart rate, which has made a product I was sent to review a timely gift. The Ozeri CardioTech is very easy to use and has a colour coded display - green is healthy, amber and red for problems. It also monitors for irregular heartbeat which is a useful thing to keep an eye on as it can be linked to anaemia and I don't want my diet to cause any shortages in essential vitamins and minerals. So there it is, I love my kids enough to give up many of my favourite things because I want to do my best to be there for them for a long time to come. Millions of other parents have trodden this path before me in adopting healthy diets, getting into exercise, getting help for mental health issues, or giving up smoking or alcohol. So what would you do for your kids? Disclaimer: Don't starve yourself - my initial weight loss seems massive but will stabilise to a couple of pounds a week as the initial loss is mostly of fluid retention. If you have health issues it's worth talking to your doctor before changing your diet, but almost everyone would benefit from increasing vegetable consumption and decreasing sugar use. 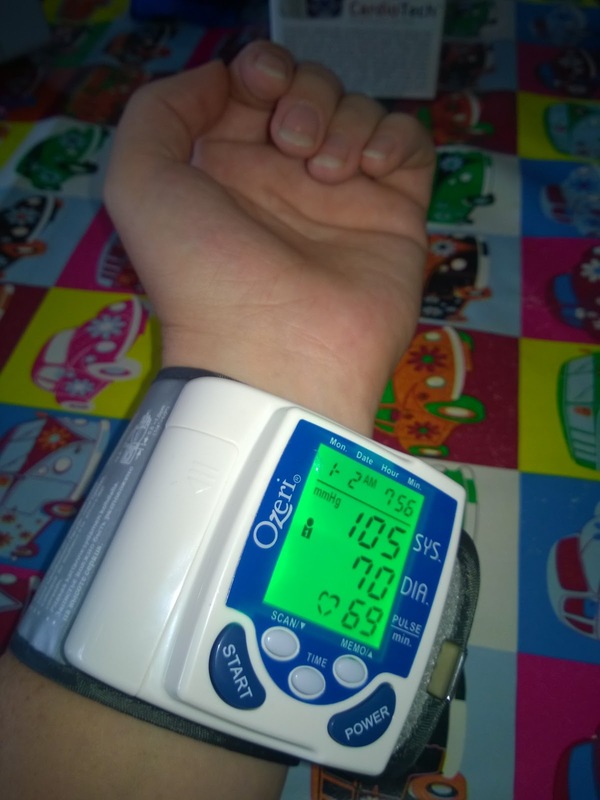 I was sent the Ozeri blood pressure monitor to review on another platform, but included it here too because I felt it was a great product and I have been using it as part of monitoring my health as I have made quite a drastic change to my diet.